Unquestionably, the goalkeeper is the most difficult position played in soccer. To be a goalie requires mental and physical agility, confidence and superior hand-eye coordination. Goalkeepers are required to inspire others and push them to play their best as leaders by example. A goalie’s hands are the most important physical attribute for success to the game after one’s mental support. Therefore, the most important equipment facing a goalie is their gloves. However, currently, several brands and styles are available so goalies can customize their needs at each level. The Uhlsport goalkeeper glove comes equipped with Supergrip foam which provides a greater grip due to integrated gripping materials that stand out in bright fluorescent red. The Shockzone located on the back of the glove is covered with embossed rebound foam to provide ultimate punching ability. The extra long cuff will protect both hand and wrist closing with Latex Velcro adjustable wrap. The all-weather Supergrip are the best on the market for grip and flexibility. 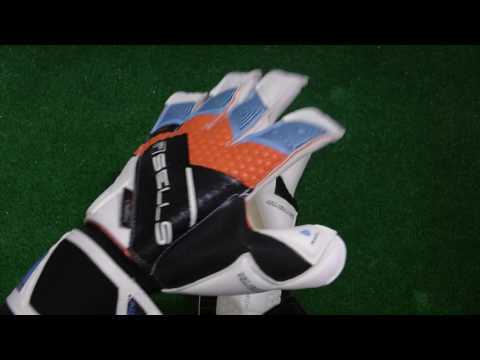 This is the ideal professional goalie glove and will be seen in the World Cup. The best feature that provides as advertised is the easy on and off range. This style does not come with stays. With Uhlsport’s soccer goalie gloves reputation of being able to deliver Goalie Hand Protectors that are of the highest quality and have superior grip quality; everything about the new Aerored SuperGrip lives up to advertisements and company reputation. Their incorporation of the innovative and new “Reflex Cut” will please goalies with the feeling of wearing a protective layer of skin. It wraps around the entire mitt and provides outstanding flexibility. Feels custom made. Amazing Ergonomic role and curve around hand. Uhlsports provides high-quality soccer equipment including this new goalkeeper glove in bright red. The new cut features a design that wraps the fingers in Grip latex gussets that are both breathable and provide gripping ability across the fingers. The neoprene body is asymmetrical and is extremely flexible. The backside of the hand is a mix of neoprene and latex and Shockzone embossed high rebound foam to offer the ultimate in comfort and punching. The palm is layered with Uhlsport-Supergrip foam, so you will never miss catching the ball. Finally, the closure is partially elastic with latex straps adjusting with Velcro at the extended wrist. The Reusch is a professional quality goalkeepers ultimate glove designed for comfort, flexibility, protections, and high grip quality. The hand and fingers are protected with G3 Ultrasoft foam and a one-piece solid zone located on the back of the hand provides optimum protection. Free-floating removable Ortho-Tec stay gives added protection. Reusch’s experience with soccer equipment technology has created this mitt to have the best flexibility and fit available. The seamless area between the thumb and index finger also maintains optimum comfort in a high-stress area. These bright pro-gloves are designed for flexibility and durability and the Reusch name delivers. Lots of negative cut space and slight waxing feel on the interior. It may take some time to get accustomed to, but once you have you will be glad for it. As they become more used, they will develop a more personalized and structured fit. For beginners and training purposes you may want an all-weather glove that offers more stickiness across the palm. Best for players with slightly thicker hands. Reusch goalie gloves delivers one of the best gloves with lots of new features; you will love the spines and structure of this particular goalie glove. They truly protect one’s hand from injury in all aspects of the game of soccer. 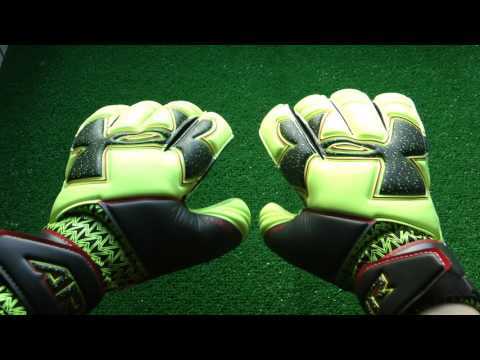 People who are familiar with Reusch, will be pleased also with the durability. 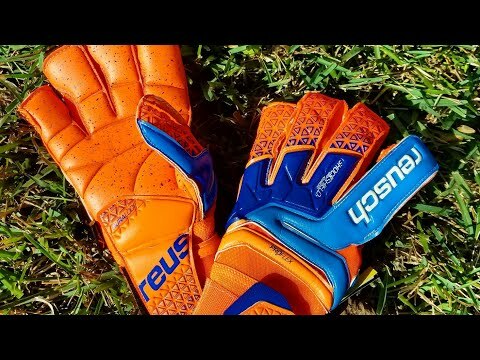 Reusch’s expert experience and knowledge with soccer sports gear make this particular product one of the best on the line. The stretch materials allow for full flexibility and fit even with the super Ortho-Tec free-floating ridges. They offer the highest range of support and protection with the German engineered and designed G3 Ultrasoft foam and Shockshield technology that each pair is equipped with along palm and back of the hand. The amazing grip is fool-proof, and the -entire design has been with the protection, comfort, and performance of these Goalie Professional grade soccer goalie gloves. The Predator Pro goalkeeper gloves looks less bulky than other products, but they offer the same comfort, flexibility, and protection. They are equipped with a reinforced backhand that has ultra flexible construction of silicon which protects the back of the hand and the knuckles; they are designed so that you can be confident with your return punches while being completely snug, flexible and comfortable. The cushioned palm is created with multiple foam types for the best grip and absorption of shock to hand and wrist. The negative cut design offers a tight fit but completely comfortable. A Velcro banding wraps around the wrist. The glove ends at the wrist. Compared with other goalkeeper gloves that have a multi-groove or dot silicone on the palms, these palms are smooth which is a personal preference for this type of product. Sometimes loses its adhesiveness within few months; however, what is lost in stickiness is made up for in durability; they will last forever. Slightly looser wristband than previous models. If you like fingersavers, this gloves is a Negative Cut fit and does not make accommodations for such. The feedbacks are in and Adidas delivers as promised: a superior goalie glove that is a tremendous value and investment. One of the official equipment for World Cup. Professional goalkeepers will enjoy the comfort and design of the seamless transition between the palm and back. The Predator Pro goalkeeper gloves by Adidas are high-quality, flexible, and durable goalie gloves created with a negative cut design that provides lean, snug comfort. If you are the type of goalie that likes to take demand in a match, these have been engineered with you in mind. Each pair has been designed with EVO Zone technology which combines two kinds of foam to protect the palm and back side of your hands. Their palms have a latex covering that provides a superior grip even in wet weather. These are all-weather grip clinging gloves that are not bulky or cumbersome. They have a natural feeling even with extra cushioning to protect from ball-hitting shock. The ridges of the backhand design help allow for full range of motion and flexibility while also feeling like a second skin in comfort. Smooth silicone palms instead of offering grooved type silicone- this is more of a personal preference. The Supremo Pro Kontakt are professionally engineered with a seamless design throughout entire construction in order to provide a close fit of the fingers and Roll fit design. The Aqua Formula 4mm latex covers the entire glove. A smooth palm is offered for personal preference but is still equipped with the Latex material which offers advanced gripping. Silicone inserts have been placed strategically as one piece across the backhand to improve stability and provide support when punching. A lightweight Neoprene with the inserts covers the back of the hand in one piece, and the entire mitt has a foam padding to protect the entire hand. The wristband is elastic with Velcro and duo fastening ability for the securest fit. Superior quality can be found in this brand, no discernable negativities with the product. Players will find a next generation of roll-finger lightweight goalkeeping gloves with the Kontakt. Breathable, snug fitting, one piece design; lots of features will please goalies and they are definitely worth a trial. The Roll-finger design is superior in creation. Consumers approve of the lightweight double wrapping features of wrist and glove design. Quality of latex on this glove is the best available. Exact same design and features are also available in youth sizes and the experts turn to this product for both adults and youths wanting a professional grade ball without profession grade expense. HO introduces a lightweight goalie glove that has been cut with Kontakt technology of a seamless design; this allows for a Roll-finger fit that is so desirable in a goalie’s mitt. The fit creation and close-fitting fingers offering outstanding protection and comfort. The Supremo is finished with a singular piece design along the back of the hand which is made from supple and dependable Neoprene, offering superior fit and reinforcement. The SUPREMO PRO also includes a significant punch zone as well as providing a newer, longer elasticated band with Velcro and duo fasteners at the wrist. Each pair has been strategically formed with 4mm of HO’s AQUA FORMULA latex that includes the silicone inserts that have been placed perfectly within each which increase stability and support over the punch zone. Looks bulky even if not fit bulky, but provides the best quality glove. Intended for rainy weather, the Sells Total Contact Elite is a lightweight, and snug goalkeeper glove furnished with a wide cut design, a German Latex backhand with super performing punch zone, an Ultra Supreme Latex palm, a long-lasting Outlast mesh material design, and more. The Elite Climate Guard goalie hand protector comes with amazing Neoprene and Latex engineering which provides professional-level grip, security, comfort, protection and performance for all types of weather conditions. They are designed to withstand years of hard use and are extremely durable, having several professional endorsements to qualify the demands placed on professional players. They are extremely flexible and provide superior protection. Their easy-on pull-tab feature is located at the ends of each German Latex stretch wrist straps. They are designed extremely snug, so they are more adaptable to people with more narrow or slender hands. Not the best fit for wider hands. Simple, yet effective backhand. Good quality Hybrid cut, takes a little bit to get used to if you haven’t tried before. You may need to order a size smaller as they tend to run large. They do run a bit more than other gloves; however, because they are a hybrid, they offer both grip and durability which is hard to find in a single pair. 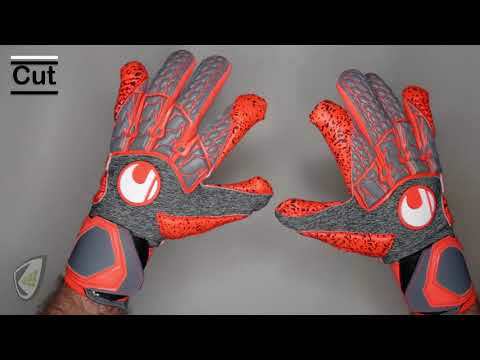 Consumers recognize that these are game gloves not practice because they deliver all that they advertise and promise. Full features, comfort, grip, and durability. A very good glove for all ages; both youths and professionals will be able to find excellent quality in these Hybrid goalie gloves meant to last more than one season at their durability level. These are an investment in superior quality. The Elite Climate Guard soccer goalie glove is bursting with technology and a purposely established palm that delivers unbelievable grasp control, and function in all conditions of weather. The Guard’s Super-flex structure is removable upon customized goalie related injury, yet it supports finger fortification and security that delivers flexibility and hardy in strength and durability. The Expanse Cut incases the hand and wrist at all major stress points and aerodynamically compliments the contour of the professional goalie’s hand outline. Adhesion latex across palm delivers precision gripping in every weather type. They also provide outstanding temperature control of wearer. Memory foam is used to thoroughly pad the entire glove and improve shape, function, and durability. The extended wrist and double wrapping Velcro to support the Neoprene grants added security, comfort, and protection. Very expensive; however they are intended to be long-lasting, all-weather investments. 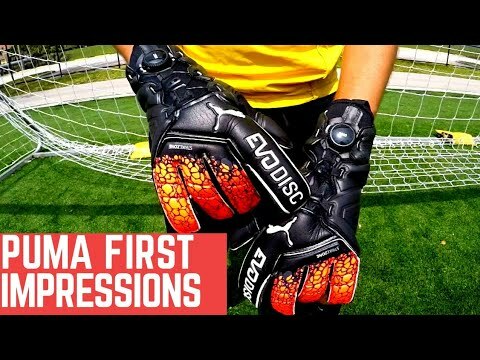 The PUMA Evodiscs goalkeeper gloves are game day, high performance, goalie gloves. They are created to be all-weather, superior grip, high-comfort, breathable, snug fit ultimate game day goalkeeping glove. PUMA delivers a glove technology and fit perfect for the professional goalie. The glove is covered in Ultimate grip Latex that is lightly padded but has an embossed backhand which provides superior punch capability, and non-slip grip on the palm. The mesh fingers and Air Zone sectors of the mitt and along the Neoprene and Latex palm provides ultimate breathability. It comes with a patented thumb protector not found in other mitts, and the evoDisc structure lace-up rotating dial tightens the glove with ease for secure fittings without inches of straps. 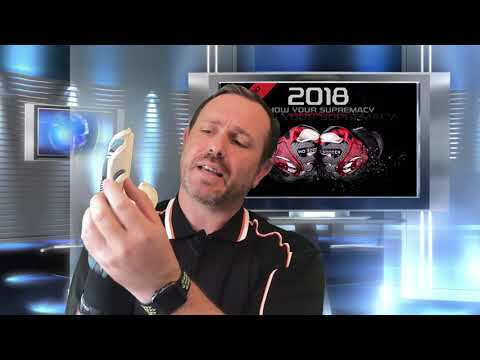 The new age of soccer goalie gloves arrives inside the design and technology behind the PUMA Evodisc; the only concern might come when trying to tighten the second hand by dial with first hand already encased. A good quality Hybrid glove that is meant and designed for every goalie. The closing mechanism alone is reason enough to try these as this product seems to meet all the requirements of both style gloves with this original and unique closing system also. Consumers are pleased with overall fit, protection, flexibility, and durability. The dial just needs getting used to, and once that has been mastered, you are in for a “fits like a glove” treat with this product. This evolutionary goalie mitt will provide fantastic fit and comfort especially with twist and lock system only offered by the PUMA company. The twist dial allows for adjustment in wrist closure for a personalized fit. PUMA Evodisc goalkeeper gloves has been delivering their patented dial tightener for sports equipment in a wide range of sports for over 20 years; they are now delivering a game-changer by introducing this system into the world of soccer. The dial positioned on the back of the wrist permits you to tighten and loosen this maximum hand protector with the perfect fit. The Ultimate Grip latex makes this product perfect for all types of weather. Strikezone striking zones and breathable sections allow for goalies to take their performance to the professional game level. Even though this is an imported product, it delivers the quality you expect from an all-around performance soccer goalie gloves. The backhand and wrist areas are noticeably supportive and sturdy right out of the box and continue performing through to game day. The material of the sleeve is form-fitting and isn’t stiff like some competitors. The slight curve in the fingers permits for a Roll-finger design perfect for catching and gripping the ball. Under Armours Desafia Premier offers a unique wrist wrap unlike others; it secures the extended sleeve and wrist for which extend up the back side of the thumb to offer the best in comfort and security. Consumers love the product and equally matched value of this training and game day soccer goalie glove. UA Desafio Premier need to be worn-in for perfection. The pair doesn’t come with finger-saves which some goalies like. They take a few trials of breaking in. The palm starts of slick, but your grip will become better the longer you use them. Cleaning palm with wet cloth will help remove some of this slickness and speed up the process. If you’re a goalie looking for flexibility, comfort, and support in their gloves, we suggest you try this product. The unusual strapping system is one of a kind and wraps around wrist before completely closing up the back of the thumb. The lengthened ClutchFit wrist sleeve may become your favorite feature, because the comfort and security that starts here extends throughout the wrest of glove. Finally, an extreme value soccer goalie gloves that delivers what is promised without making you bankrupt prior to soccer season. This all-weather and all-purpose goalie glove is superior in design, comfort, and fit. The back of the hand is superiorly padded to allow for straight, direct aim punches. The Palm and fingers deliver a semi-rolling design that snuggly fit around your fingers allowing for extreme fit and gripping at every level of the game. Super flexible, this product has cushioning instead of stays inside the finger to allow for full-range movement during use. Nike Grip 3 Goalkeeper Glove introduces performance foam protection and Grip3 engineering and technology for exceptional grip and advanced shock absorption for every weather condition. They offer T90 finger supports and 3mm incredibly soft and flexible latex foam for the best grip and shock absorption. Its state-of-the-art design extends a hook-and-loop wristband on an extended form-fitting sleeve, and a uniquely mastered, extended palm wrap that cinches closed beneath the thumb for a snug, secure fit. The multiple materials allow for giving and stretch along the palm, which produces the perfect fit. Previous styles did not have wool latex on thumb or wrist strap, the Grip 3 has both. Latex takes a few uses before superior grip, but easily attainable. Improved Hybrid cut with the benefits of both flat and rolled gloves while minimizing and cutting out extra negative space style goalie gloves. The Grip-free cut may require longer adjustment period for you. Make sure to review size chart as you they tend to run large. A recent review proves that Nike delivers as promised and advertised in this multi-purpose, all-weather soccer and sports glove. The latex performs amazingly well from the very beginning and will not wear out as quickly as other brands, even when playing in the sun and on turf playing fields. 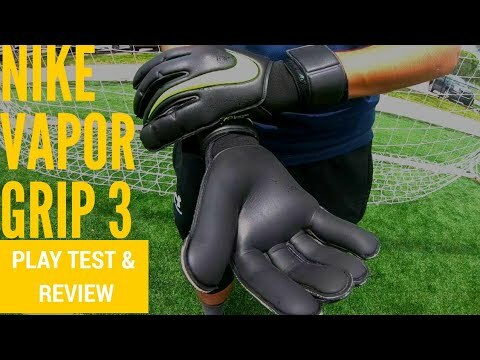 The NG3 are primarily game gloves that have been performing for goalies the way you would expect from the name and reputation Nike has for all of it sporting equipment. The Nike Grip3 goalkeeper gloves presents a flexible Latex foam filled all-weather mitt that offers maximum grip abilities and excellent impact engagement and absorption. Nike delivers Bio-Align, pre-curved expertise which reduces hand and wrist stress and increases response time. Each pair presents Grip3 technology on its palm which includes air flowing perforations and a breathable mesh material to extend airflow, comfort and temperature regulation. The unique wristband is perfectly adjustable for personalized fit, comfort, and protection. An excellent glove for multiple sports, perfectly designed for both soccer and football, the Nike Grip 3 soccer gloves provides an all-weather, all around hand protector of the finest quality. These goalkeeper gloves by Blok-It are perfect for the athlete seeking a secure, long-lasting and reliable set of hand protectors that also deliver excellent grip and comfort. They are designed with an air-flowing material that absorbs sweat and draws it away from the skin for maximum extended comfort. Included are finger Saves and extra padding to reduce the possibility of injuries. All fingers, palms, and back of the hand are protected with 4mm foam, and the quick release Velcro wrist support allows for security and protection at all times. They are unisex and come in an array of color combinations and sizes. A few feedbacks found that Blok IT goalkeeper gloves runs small, and when worn on fields other than grass, they aren’t lasting more than a season. The thumb seems a little longer than necessary, but it does not seem to effect performance of both goalie and glove. Since they might run small and half sizes are not available, you might want to try going up a size than down one even if you are searching for ultimate snugness. The smaller size may prove to be too constricting in your game play. Based on your hand size and your playing style, the value and features make them a quality glove to try. Players are thrilled by the performance being delivered by Block-It soccer gloves. Impressed by the flexible materials and durability, perfect for all ages and levels of soccer. You will have improved game day performance as the Blok-It glove is made with premium breathable material that lessens sweating and provides second-skin like comfort. This goalkeeper’s mitt is fortified by added padding and fits perfectly for unisex players wanting to minimize the opportunity of hand, finger, and wrist injury. It provides additional grip manipulation for unsurpassed ball control. Goalie hands will be reliably and superiorly protected by its liberal padding of smooth comfort, but long-lasting materials The Blok-It is created from remarkable, characteristic materials designed for advanced performance, and sweat absorption and self-cleaning for the top in comfort and protection. Finger saves have been added for extra support and protection for goalkeepers who prefer gloves with this characteristic. A Velcro wrist support makes it adjustable and comfortable while providing security and sureness of fit. This brand is one of the best goalkeeper gloves for beginner goalies and training. Renegade GK is the official goalkeeper’s glove of the National Premier Soccer League (NPSL) and their mission is to provide the highest quality and the best value in gloves for every player and every level. The Fury Series is a level-4 Champion glove that incorporates Roll-fingers, Roll-Negative Hybrid and Flat Gecko cuts for the absolute in comfort and performance. They offer 6 different cuts total for goalies from which to choose. They come equipped with Endo-Tek Pro finger saves, and the palm is coated with 3mm German Giga grip, both of which will improve your game. The body is designed with 6D Airmesh for the height of breathability, and a Neoprene bandage double wraps the wrist and closes with Velcro. Additionally, they are outfitted with a Nylon strap puller and are hand washable. Renegade backs all their equipment with a 30-day warranty. Different cuts and designs available; some are more durable than others as the palms grip wears off quicker on some designs more than others. The Fury is a Roll-Cut design in the Renegade family. Additionally, there is a Fingersave zipper where goalies can add or remove fingersaves per their own preference. This is a level 4 Champion glove with all the benefits you come to expect. 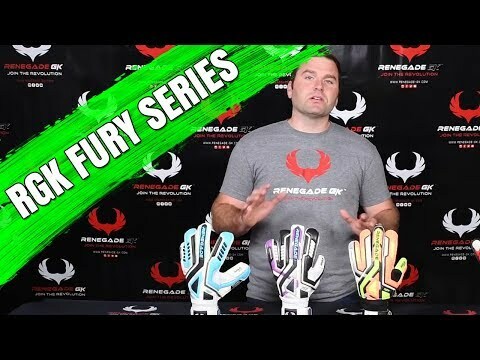 The Fury goalkeeper gloves are designed for their grip, not their durability, but these deliver enough to make training through a season ideal. These seem to be best suited for training or game day, not both. A superior quality glove for the hundreds of players and goalies who understand the possible need for multiple gloves for different occasions. Professional glove features like the German Glga Grip latex on the palm, the 180-degree thumb wrap and grip, and 3D ventilation system should give you the confidence you need to provide the highest level of defense during games. The Fury Series by Renegade GK offers goalies an amazing fit, superior grip, thorough padding, and secure comfort even in rainy weather. The sizes are true to the chart, provide the best in a breathable material, and the finger stays are removable to allow the goalie to adjust for optimum protection, security, comfort and fit. Superior value for the desirable cut needed by goalies who desire a personalized and situation suited hand protector. They offer balanced performance and the lead in safety for both youths and adult soccer players. depending on cut design determines durability, but all Furies are designed for their German Giga grip, a latex that provides grip and impact performance. A soccer team’s best chance at winning ultimately can come down to a singular player; the goalie. The saying that a team’s best offense lies within its defense is clearly seen in the field sport of soccer where the majority of the defense is upon the goalie. A soccer goalie must exude confidence and have skills as the highest level to provide a winning defense. Therefore, to properly equip a goalie for this premium position, he/she needs to be outfitted with the proper equipment. A soccer goalies top priority lays in his hands; therefore, the leading necessity of sports gear is placed on a superior pair of soccer goalkeeper gloves. Knowing what the best glove for your team’s goalie relies on several components, as well as personal preference in some situations. Our Buyers Guide will outline the characteristics that game-winning gloves should have to help in your selection. Four main focal parts of every glove should be considered; the back of the hand, the fingers, the palm, and the wrist must work in unison to provide the ultimate defense. Backhand: The backhand’s design should be adequately and considerably padded to help protect the entire hand when the goalie is forced to punch the ball. Price does not always dictate padding, but you want to ensure double or more padding as you train and play. The best models will provide a durable latex padding. Fingers: The fingers are a goalie’s best line of defense; fingers should be supported as they permit the gripping and holding or the ball. Some gloves are equipped with spines or stays for sturdier support, located along the inside of the finger. The material along the fingers reflex and tighten as force is directed, this flexibility and support help prevent bone breakage and hypertension. Gloves come with and without finger stays as well as removable finger stays with the ultimate fit and design depending on the goalie’s personal preference. For the greatest finger protection, search for products providing flexible stays as an alternative to padding only. Palm: After the fingers, the palm provides additional help in receiving and safeguarding the ball. Two types of textures are available among palm types: an embossed or ridged and smooth. Each has their prime characteristics depending on need. Smooth palms are ideally matched for game day; they are usually equipped with a sticky neoprene material or clinging element. However, this sheen can and will wear off with use which is why smooth palms are best for game day. Not to be punny, but on the other hand, the dimpled or embossed palms are the idea for practice days. Generally, these are more durable but less adherent making them more suitable for practice. Wrist Closure: The wrist is the final part of the hand that needs security and protection. The closure, which again is goalie preferable comes in 3 major types for different uses and needs. A hook-and-loop closure is usually more elastic and has an adjustable strap that is specially designed for flexibility of the wrist. V-notch closures permit ventilation (ergo the “v”), allowing for your hands to stay dry. Some palms come with ventilation holes, this allows the player to opt for different closure. Bandage closures are usually closed with Velcro and wrap one or twice around the wrist to provide high-quality wrist security and support. Three types of gloves are available, Game, Training, and All-weather. Both Game and Training gloves can be designed to be all-weather which primary goal is to protect against wetness. Game gloves should be made with premium latex to protect fingers and offer maximum gripping engineering. Because of the high demands and standards placed on game gloves, they require more care and are not as durable as training. Training Gloves are created for the beginner player and professional goalies at practice. They have a longer lifespan but less grip function. Cut design refers to the material of palm and fit of the glove. There are many cuts available, but the top four are flat, rolled, negative and hybrid. Flat: The most established cut of gloves, the flat provides a palm designed with a singular section of material made of flat foam construction. The free fit provides a wider range of flexibility. Rolled/Gunn: The rolled fit has the palm sides rolled and stitched to the back of the fingers providing a more aerodynamical and tighter fit. Negative: The negative cut provides the tightest fit because all the fingers are sewn together on the inside. This specific cut is usually recommended for goalies with thinner more slender hands. Hybrid: A Hybrid cut is determined by a combination of other cut designs. Once you have discerned the Type, Cut Design and Construction of the goalie glove that you will optimally prefer, measurement and fit are essential. Measure the widest part of the hand, not including fingers, add an inch to the closest round number to determine your goalkeeper gloves fit. We hope this guide will provide the information you or your team’s goalie needs to perform at their highest ability no matter the weather or playing conditions.